“It was awesome! The children were completely engaged, start to finish. The cast were bouncy, energetic, enthusiastic, approachable, professional, thoughtful and completely keyed in to working with primary aged children. Thanks for a professional, smoothly operated, fun and engaging show! You really did put a smile on a lot of faces and have broadened their arts experiences”. “Brilliant, fabulous, excellent, super-duper, genius, beautiful and extraordinary. Ten out of 10, awesome. We would have liked it to last even longer. Please do it twice next time! Thank you for coming to our school and making us laugh so much”. We availed of an opportunity to bring the M&M Theatrical Productions to our junior school pupils aged 4 – 8 years. When they arrived at our school, the company of four actors had their set assembled and were ready for curtain up in 45 minutes. 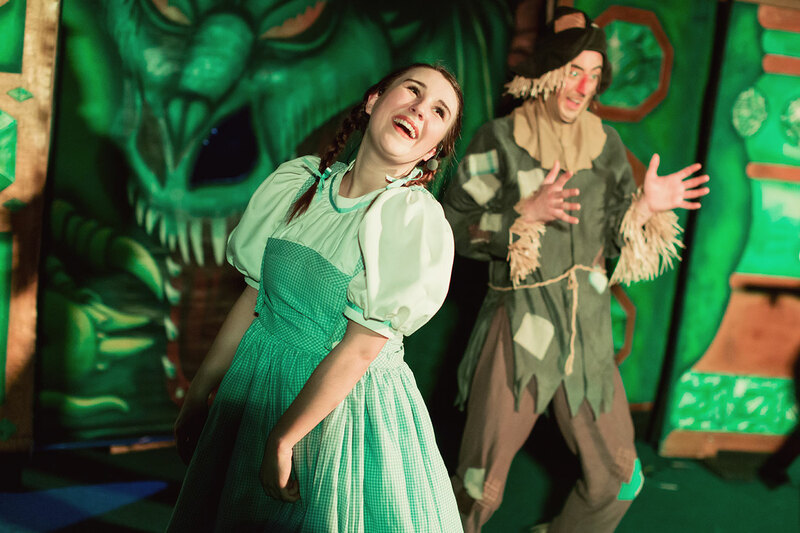 The play performed, “Alice in Wonderland” was very lively, funny and colourful with lots of physical and verbal humour (some aimed at the pupils and some at teachers) and held the children’s attention throughout. Actors interacted with the children who obliged them by calling (screaming) for Alice every time “something interesting” happened. Sets and costumes were excellent and added to the fun. The whole play was brilliantly put together and executed. Alice even “grows” on stage which impressed everyone watching. Teachers and pupils alike loved this production which was very suitable for our young pupils. We hope to have the company return to our school in the future. I unhesitatingly recommend this production to any primary school”. St. Patrick’s JNS, Co. Dublin. “We have been booking M & M Productions for many years now. It is always a performance everyone looks forward to – pupils and teachers alike! I think what appeals most to the children (and adults) is the use of up to date pop songs, which everyone loves to sing along to. This makes for an electric atmosphere as big and small are singing along. The sets are always amazing, this year with added technology. Colourful, bright and adds so much to the show. As for the characters…lively, fun and engaging. Everyone loves how they interact with the audience and pull up the staff to dance. An all-round brilliant panto that we book year after year”. We have been working with M & M productions for the past 4 years. Each year they bring two amazing shows to school; transforming our school hall in to theatre of sound, colour, light and fun! The children are amazed by the staging and the way the actors bring stories to life. 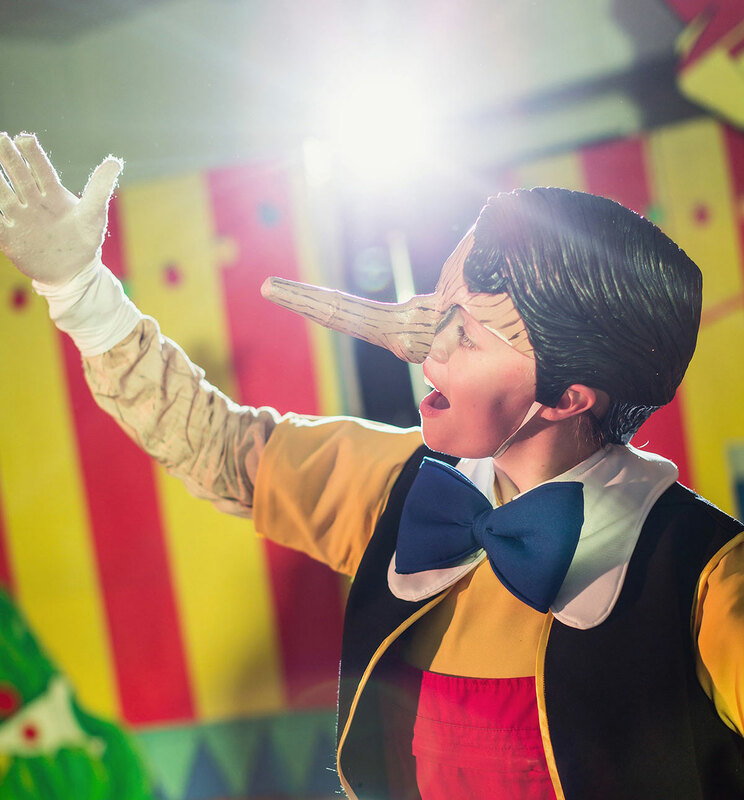 The actors are outstanding professionals and always ensure they understand the audience they’re working with, ensuring children with learning needs or the younger children are at ease throughout the performance. I wholeheartedly recommend M & M productions for your school production. The after show workshops are amazing too, giving children a behind the scenes tour of how the show is staged, choreographed and put together. “It was wonderful! Very professional and engaging. Thank you so much to the cast. They were amazing and the children were engaged throughout the entire performance. Magical! Thank you again”. We love to read your feedback on our productions!! 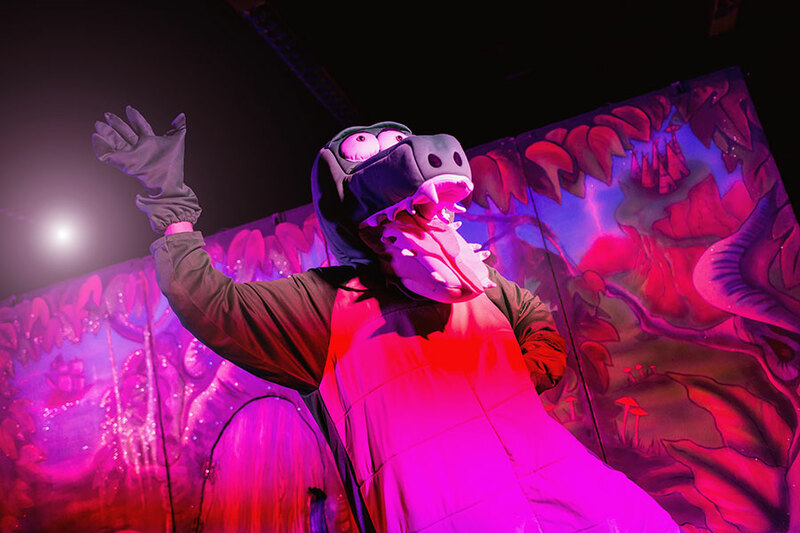 If you have recently seen one of our shows and would like to let us know what you think, please submit your comments below.